The Aquabeads Beginners Studio comes complete with 840 beads in 12 colours, more than enough to create whatever your imagination thinks of! The Aquabeads set comes with a handy place to store all of your beads, a bead peeler, and template sheets as well as a bead pen and sprayer. The Beginners Studio is perfect for those who have just begun their Aquabeading adventure – it even comes with two double-sided template sheets to inspire you. 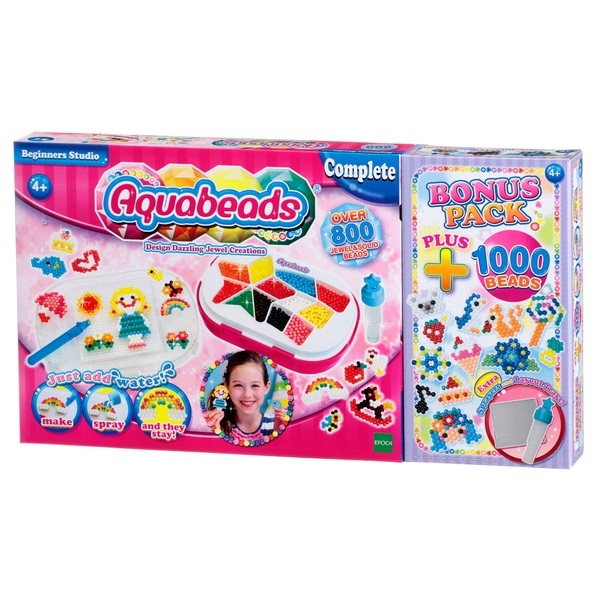 This Aquabeads Beginners Studio Gift Set comes with an additional bonus pack.